2011 is the 40th Anniversary of the death of legendary front man ofone of the most influential groups of the 60s The Doors, Jim Morrison. 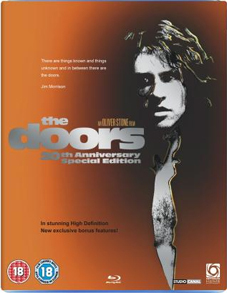 Just recently we've been treated to Tom DiCillo's documentary on the group, When You're Strange, but their story was previously enshrined by cinema back in 1991 when Oliver Stone made The Doors, which cast Val Kilmer as Morrison, Kyle MacLachlan as Ray Manzarek, Kevin Dillon and John Densmore and Frank Whaley as Robby Krieger. Krieger was an advisor on the film, but Manzarek refused to be involved and subsequently expressed dismay at the result, but the film still found an audience and some critical success. Jim Morrison - A Poet In Paris - The last moments of Jim Morrison in Paris (55min).